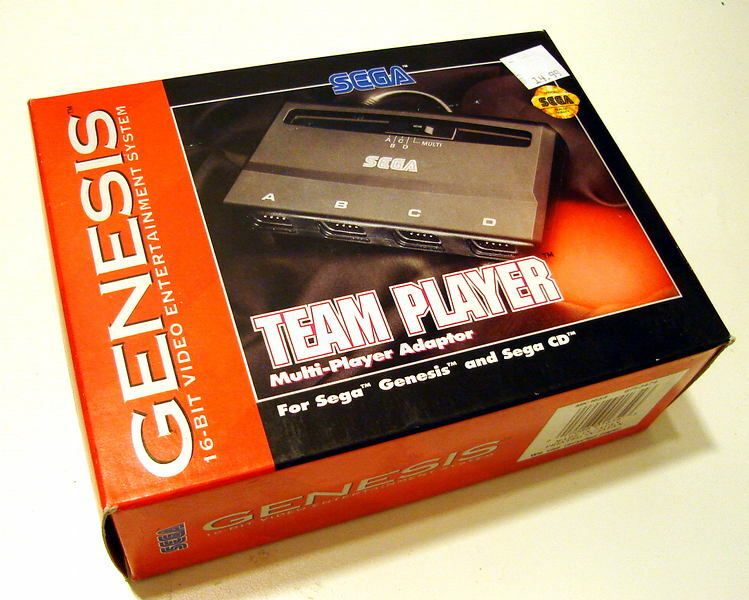 There is not much information on the different types of multi-taps available for the Sega Genesis. This page aims to correct this. 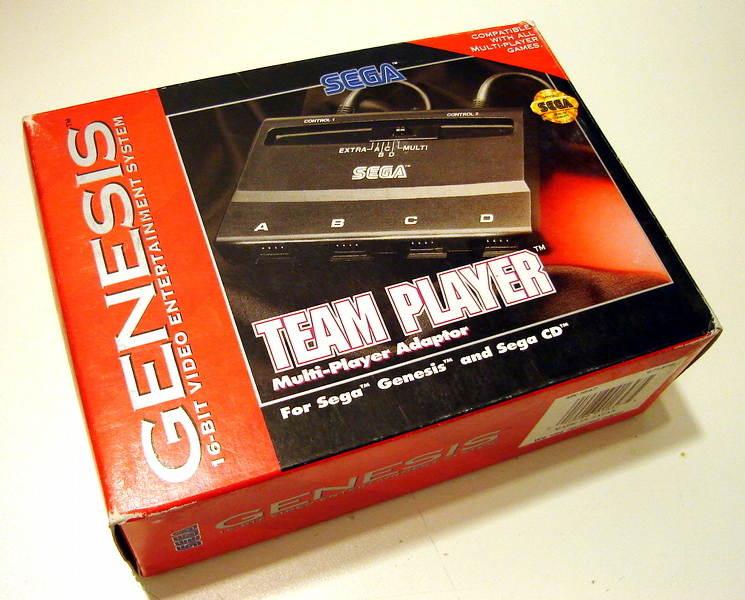 Name: Team Player, Multi-Player Adaptor, For Sega Genesis and Sega CD. 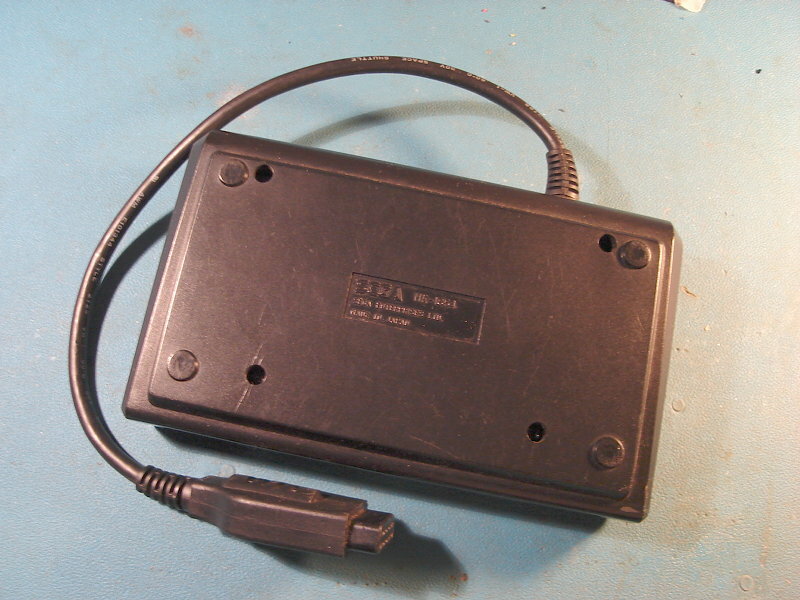 A: Multitap port A mapped to first controller cable. Second controller cable unused. B: Multitap port B mapped to first controller cable. Second controller cable unused. C: Multitap port C mapped to first controller cable. Second controller cable unused. D: Multitap port D mapped to first controller cable. Second controller cable unused. EXTRA: Multitap port A and B repectively mapped to Genesis port 1 and 2. 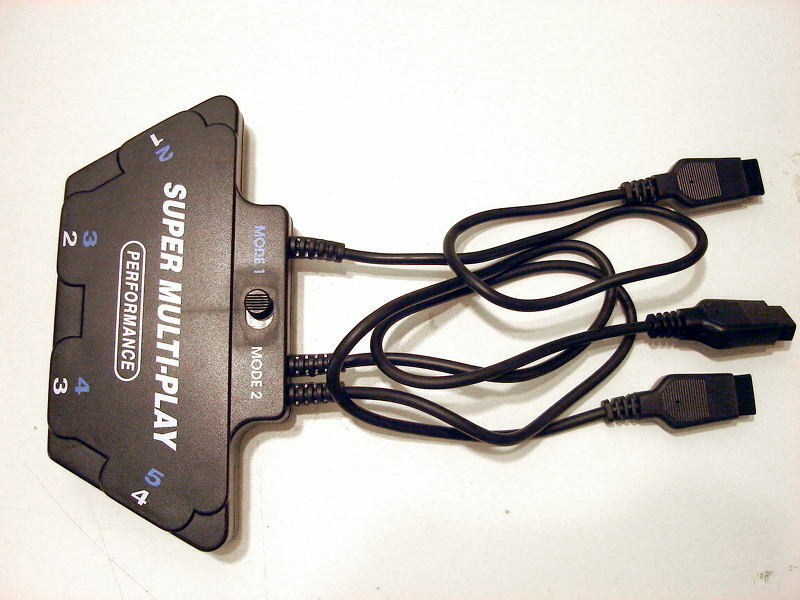 MULTI: The 4 Multitap ports are used in 4 player mode thru the first controller cable. Second controller cable unused. Any combination of 3 and 6 button controllers can be used. Works with my DB9 to USB adapter. Uses the Sega multi-tap protocol, as described in genesis_multitap.txt. Works with Sega's multi-tap IO example ROM (Multitap - IO Sample Program) (Not on this site, please don't ask for it). 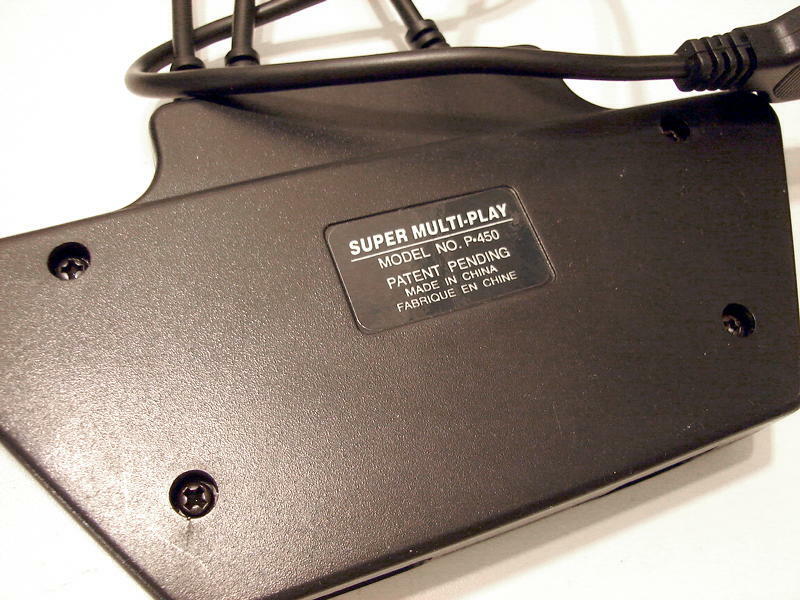 MULTI: The 4 Multitap ports are used in 4 player mode. 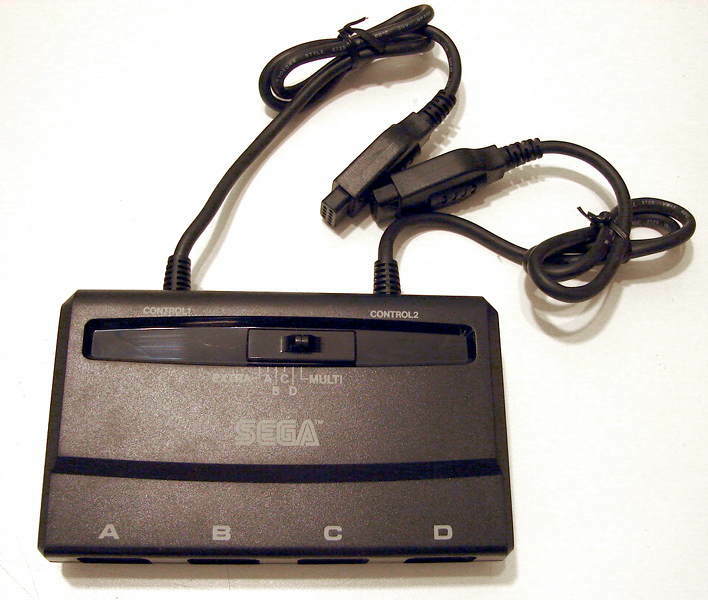 A: Multitap port A mapped to Genesis port 1. B: Multitap port B mapped to Genesis port 1. 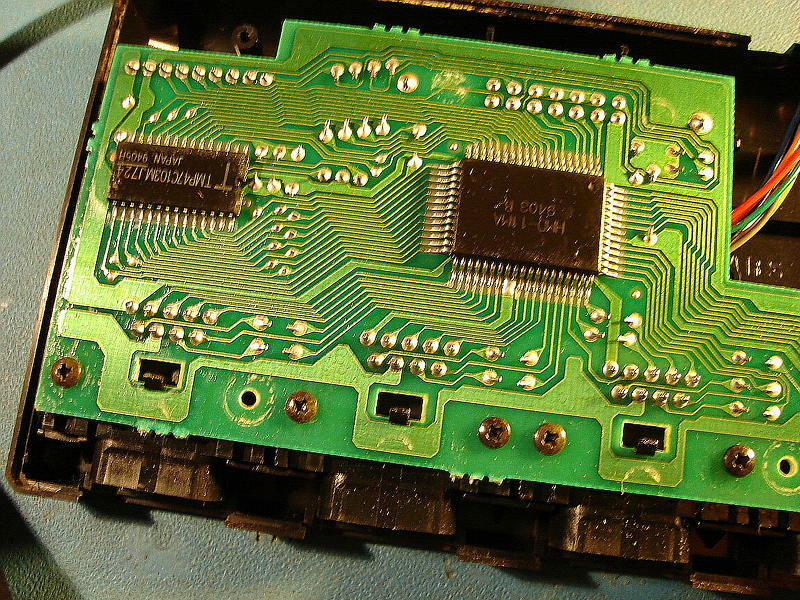 C: Multitap port C mapped to Genesis port 1. D: Multitap port D mapped to Genesis port 1. Performance's P-450 multitap has a two position mode switch and two sets of cables going to the console (1 cable for MODE 1, 2 cables for MODE 2). In mode 1, it works like Sega's MK-1654 multi-tap. I don't have much information about mode 2, but I suspect it is for Electronic Arts games which needed a different type of multi-tap. Any combination of 3 and 6 button controllers can be used. But see problems below. 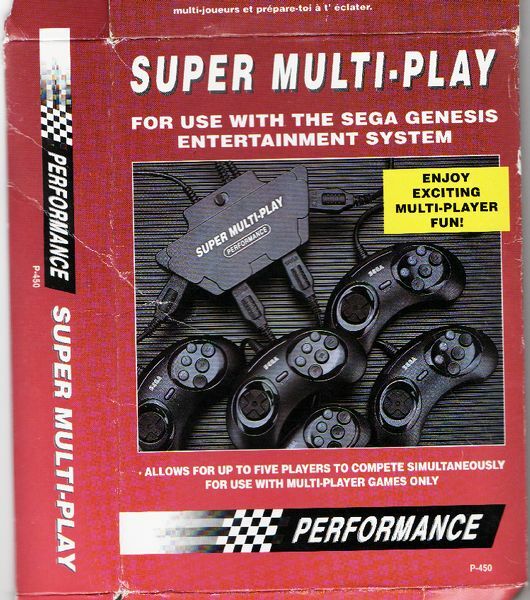 Uses the Sega multi-tap protocol, (almost) as described in genesis_multitap.txt. 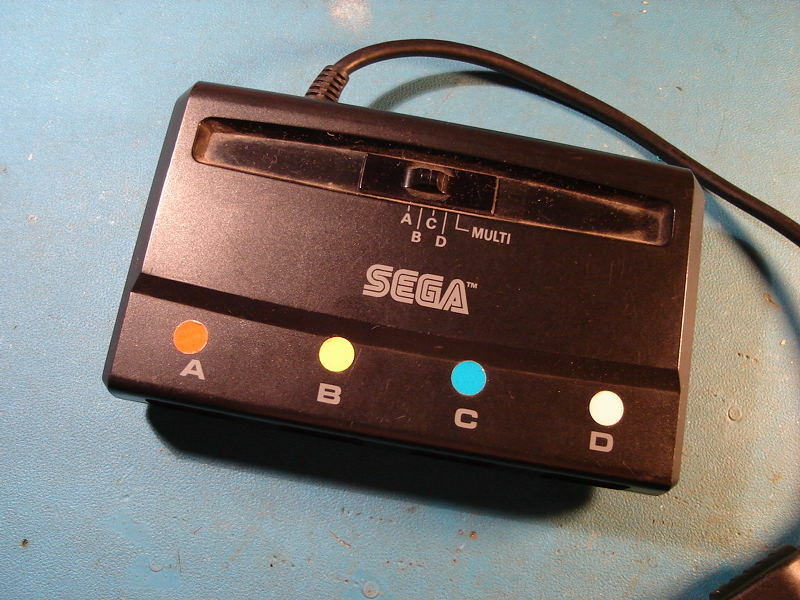 This multi-tap does not detect Sega's MK-1470 6 button controllers (They work as 3 button controllers instead). I have not tried other controllers yet. This multi-tap reports the presence of 3 button controllers in all ports, even when nothing is connected. This is not really a problem, but it is not what Sega's multi-tap do.